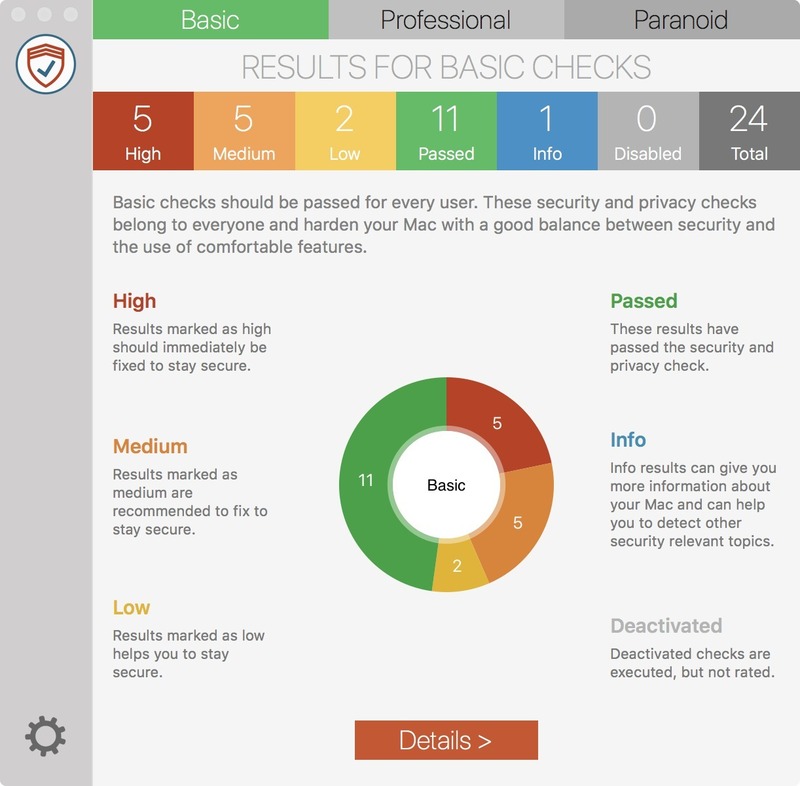 Provides security checks and recommendations. Is there a better alternative to SimpleumCheck? 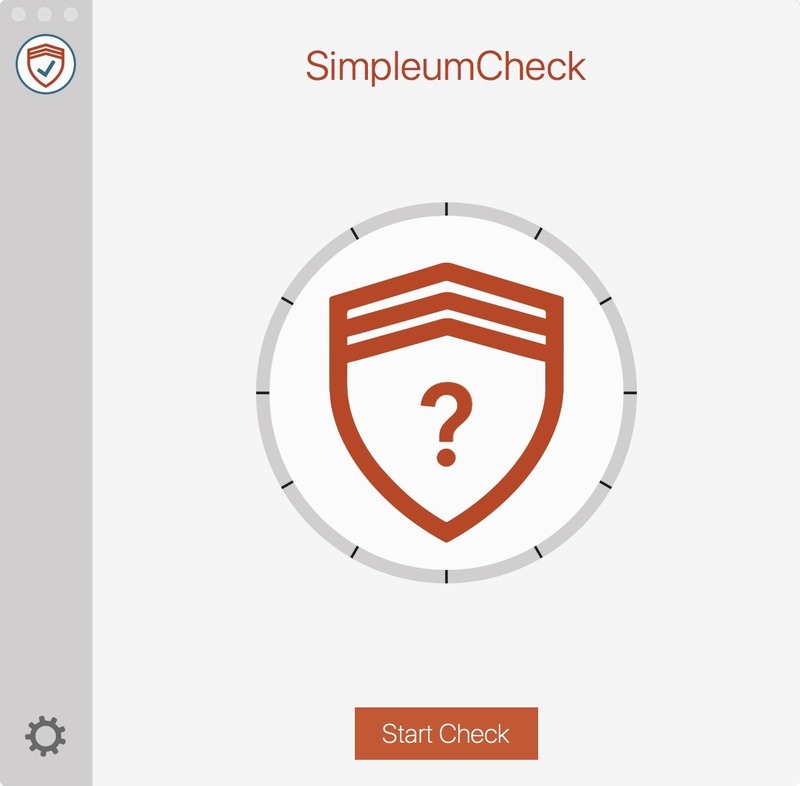 Is SimpleumCheck really the best app in Security category? Will SimpleumCheck work good on macOS 10.13.4? 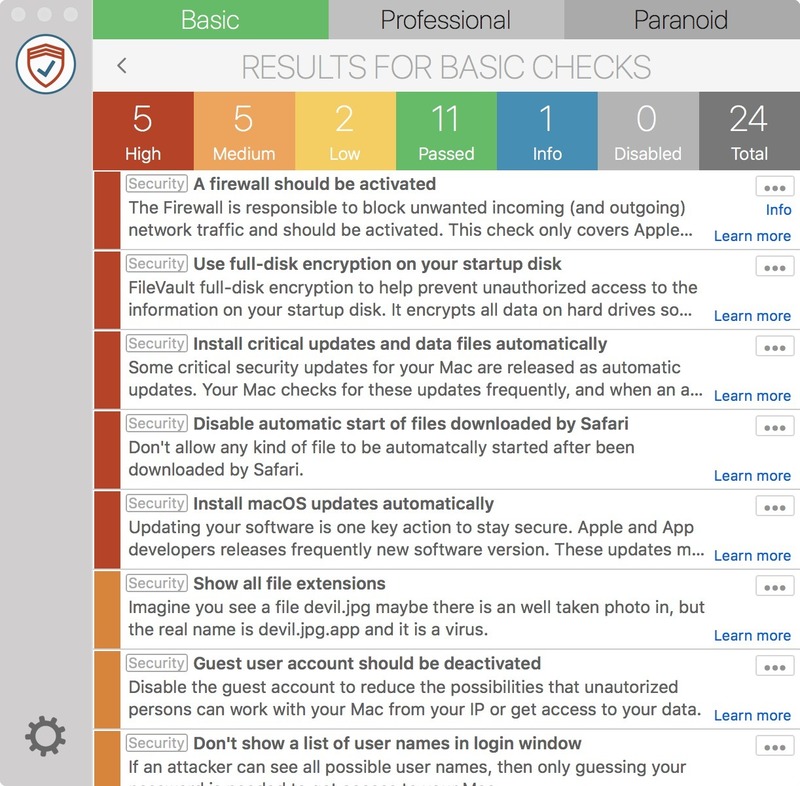 SimpleumCheck is a free "security advisor" for Mac. This resourceful little program makes a security check on the computer and shows you what security settings you should make. On our website we inform in detailed F.A.Q. articles about where and how you can change the settings. Basic-Check, Professional-Check and Paranoid-Check provide enlightenment and certainly also some astonishment about which security settings are not enabled by default. All three stages of the checks are always automatically run. You can decide what recommendations you want to follow. The Professional-Check is particularly valid for professional/business use and is also aimed for secret holder etc. However, we recommend that each user also look at these results and consider the recommendations.